There’s a simple way to help your child be happier, less anxious, more focused and compassionate; it’s called mindfulness. Here’s what you need to know about practicing mindfulness and sharing this valuable life skill with your children. Mindfulness is a practice that lets you see and understand the world right now, in the present. It’s about awareness; noticing feelings, thoughts, physical sensations and anything that’s happening around us. It’s without any judgments. There are no bad or good feelings, right or wrong, pretty or ugly, there just is. Mindfulness is not the same as meditation (though it may have stemmed from centering yourself during meditation), nor is it about turning your kids into little Zen-masters. They are after all kids and there still will be tantrums and more, but if you practice mindful responses (not reactions) to their actions, they’ll learn how much easier and pleasant their experiences in the world can be. Dig In! This spring introduce your child to the love of gardening together. Gardening is an ideal springtime hands-on activity for you and your kids to enjoy for lots of reasons. Kids love digging in soil, they develop a sense of responsibility as they care for seedlings, they learn how plants grow and find out how good freshly picked veggies taste. Here are simple ways to nurture a love for gardening. Easy at-home projects are a good beginning. Empty milk cartons, colorful clay pots or raised planter boxes in your yard can all start home gardening projects for your kids. Visit a garden center and let them help pick out their own seeds. For veggies, try to choose seeds that grow fast and are easy for small hands to hold like radishes, green beans or carrots. Potatoes, especially colored varieties, are fun too; kids love finding them in the ground and digging them up. If you have enough space, fast-growing pumpkins are a good choice. Marigolds, sunflowers, and sweet peas are easy to plant flowers that grow quickly. Kids can be creative decorating their gardens with special stones, hand-written plant markers, garden gnomes and fairy garden miniatures. 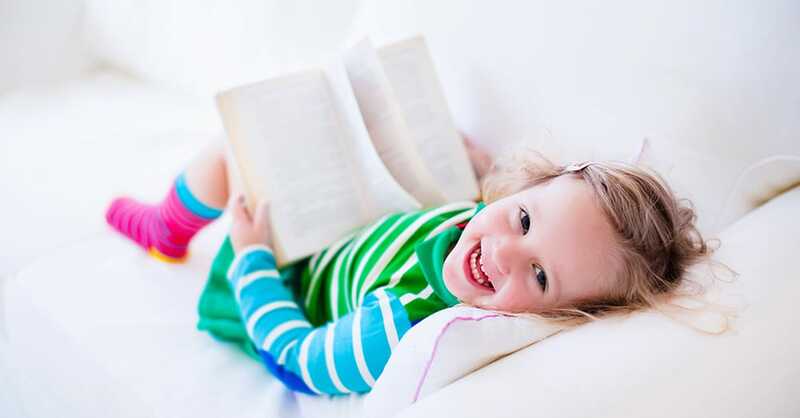 Did you know that reading daily to infants stimulates early brain development? And as kids get older reading helps them build vocabulary, gives them stronger language skills and a much higher likelihood of doing well in school and graduating. Here are five ways to bring the joy and benefits of reading to your kids. If your kids are fascinated with dinosaurs or ponies, let them pick books about these subjects, they’ll be much more likely to want to read about their favorite things. You can even go further by finding connections to similar topics. For example if you child loves cars, then don’t stop at fictional stories about cars, think about choosing books about car racing, car designs or racecar drivers.